With over 30 years of experience in the cooling tower and HVAC market, the team at RBE has the dedication and experience required to keep our valued customers coming back. As a representative of several leading products in the HVAC industry, we are happy to answer any questions that you may have. Whether you need maintenance, installations, or repairs - our company can help. Our team will work hard to make sure that all your systems are up and running within the shortest amount of time possible. We pride ourselves on highly satisfied customers and will go the extra mile to ensure our services meet their needs and demands. At RBE, we can handle any aspect of cooling tower repairs, installations, and maintenance services. We also design customized maintenance plans that are specifically tailored to our customer’s requirements. Our company uses only the best products and hires only highly experienced technicians. No matter the size of the job, the team at RBE can tackle it all. Our sales process involves taking our customers needs and guiding them with our expertise to select the right equipment solution for their situation as honestly and as efficiently as possible. We have experience working with consulting engineers and will provide quality solutions with proven results for end users. No matter the project, our team will ask the right questions for it, such as asking what’s important, energy or cost savings? Once we install the equipment, we will continue to work with it to make sure the end user is happy and address issues as needed. After installation, our team will continuously work with you to ensure your systems are working as they should. If there are any issues or problems, we will respond quickly, meet with our customers, and will provide free inspections and analyze the condition of the cooling towers. Once on site, we will listen to our customer's issues and provide proven solutions based on our expertise. Dan Roesner began selling Marley cooling towers in 1978 after graduating from Michigan Technological University. After 20 years of selling cooling towers in southeastern Michigan Dan set out on his own to start RBE Incorporated as the Marley Representative in Detroit. Since the birth of our company in 1998, we have added several water filtration products as well as grown our service arm for in-house cooling tower repair. 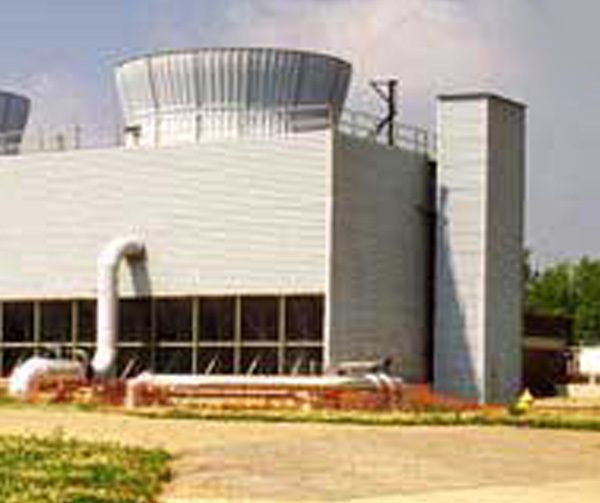 RBE has become a leading provider of cooling tower repair in Michigan. RBE's commitment to its customers remains one of the key components of our company values. With a combined 60 years of cooling tower experience, we have the expertise, solutions, and customer service required to assist you in your needs. Whether you need a new system installation or a simple repair, call our team today at (248) 874-2006.